Military members, veterans, and their family members face an assortment of financial challenges that are unique to our community. As military members and veterans, we may find ourselves frequently traveling, being exposed to deployments and special duty assignments, dealing with unique pay and benefits programs, and working through other financial challenges. We also have a unique retirement program, especially with the new Blended Retirement System, which combines the traditional pension with a defined benefit plan. Military Retirees and Veterans also have a variety programs and benefits which can affect their financial well-being. This can include aspects of their financial lives, such as buying a home (VA Loan), completing their college education (GI Bill), earning additional retirement benefits if they transition into the federal Civil Service employment system (military service credits), and even providing for their loved ones in the event a retiree predeceases their spouse (Military Survivor Benefit Plan). Thankfully, there are books to cover almost all of these situations. We try to do a good job covering these topics on our website. But there is something very satisfying about diving deeply into a topic. And books are able to do this much better than a single article on our site. The following military money books are recommended resources to help you on your path to financial freedom. The best part is most of these books can be had for the price of one or two large coffees (or less). 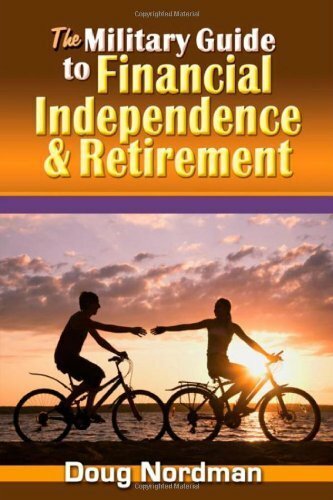 The Military Guide to Financial Independence and Retirement – by Doug Nordman. 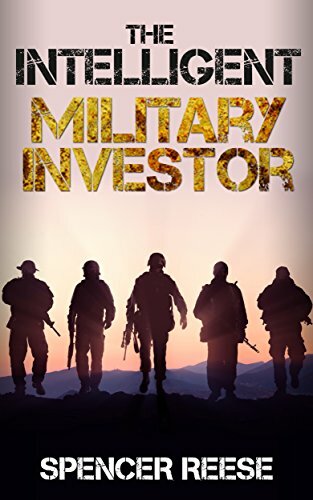 The Intelligent Military Investor: An Officer’s Guide to Personal Finance and Investing – by Spencer Reese. Military In Transition’s Guide to the Survivor Benefit Plan – by Forrest Baumhover. The GubMints Gouge for Maximizing your Service Computation Date – by Eddie Wills. Jeff Rose is a Certified Financial Planner™ and Army combat veteran. He founded the website Good Financial Cents, and is the author of the best-selling book, Soldier of Finance. In his book, Jeff uses the concept of Basic Training to walk readers through understanding personal finance topics, big and small. Following Jeff’s guide will help you understand your “why,” or the reason you need to have financial health, how to understand credit, savings, investing, and planning for the future. And like all good military programs, Jeff shows you how to enlist a Battle Buddy to help you through the process. If you need one book to get you started on your journey to financial freedom, this is a great place to start. 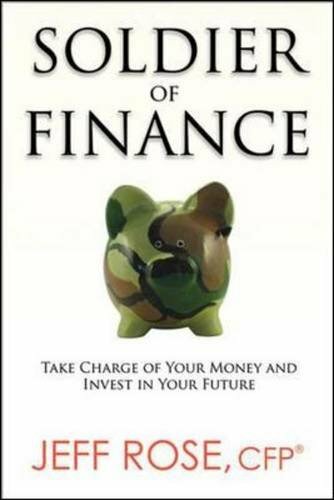 Soldier of Finance Price: $13.21 Soldier of Finance, by Jeff Rose, Army Veteran. Use Basic Training as a framework to get out of debt, invest, and achieve financial freedom. This book was written by Doug Nordman, a United States Naval Academy graduate and former nuclear engineer in the submarine force. Doug retired from the Navy after a 20-year career and never had to work again (his book explains how he has been able to accomplish this). After several years of being active on various online forums, he realized he had a book in him that needed to get out. He founded the website, The Military Guide, and published his book, The Military Guide to Financial Independence and Retirement. 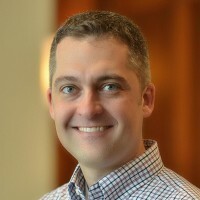 Through his book, as well as by living the example in real life, Doug shows that a career in the military can lead to financial independence and retirement. Moreover, 100% of the proceeds from the sale of this book go to veteran charities. Read our Article or Listen to our podcast interview with Doug: Financial Independence and Early Retirement on a Military Salary. An Interview with Doug Nordman. Read our Article or Listen to our podcast interview with Doug: Active Duty Military Retirement Benefits (Podcast 010). Buy Doug’s Book: The Military Guide to Financial Independence and Retirement. The Military Guide to Financial Independence and Retirement Price: Retired Navy officer Doug Nordman shares his personal journey to financial independence after 20 years of military service and shows you how to do it too. Jean Chatzky is the best-selling author of 9 books on financial topics, and is the financial editor for NBC’s Today Show. She has appeared on numerous television and radio shows, is a syndicated columnist, and is a keynote speaker. She is also the host of the popular podcast, Her Money, with Jean Chatzky, a podcast to help empower women in their financial lives. Though Jean is not a military veteran herself, she leveraged her extensive financial knowledge to work closely with several military money experts when writing Operation Money. The result is a book that can help any military member and their family achieve greater financial success. The best part? Jean offers a digital copy of her book for free on Amazon. 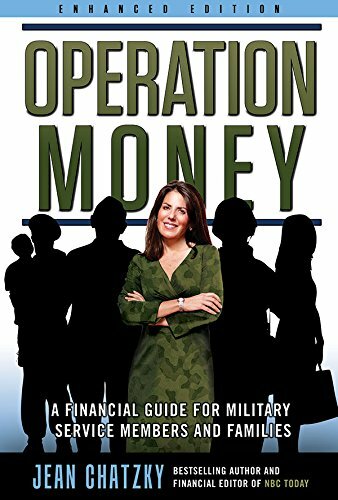 Operation Money: A Financial Guide for Military Service Members and Families Price: Best selling author and financial editor for NBC's Today Show shows you how to get financially fit and navigate various military financial issues. Spencer is an active duty Air Force officer who has the goal of reaching complete financial independence by the time he retires after 20 years of service. And if you read his website, Military Money Manual, you will know he is well on his way to reaching his goal. On his site, Spencer shares his journey to reaching financial independence through savvy money management, paying off all debt, and aggressive saving and investing rates. He turned his experience into his book, The Intelligent Military Investor: An Officer’s Guide to Personal Finance and Investing. Far from being a play by play on day trading or risky stock investments, Spencer recommends investing in the tried and true Thrift Savings Plan, avoiding debt, and keeping your living expenses low. He shows you how many military members can reach financial independence at an early age if they are willing to follow a few simple guidelines. Buy Spencer’s Book: The Intelligent Military Investor: An Officer’s Guide to Personal Finance and Investing. The Intelligent Military Investor Price: An Active Duty Air Force officer shows you how to save & invest wisely to reach financial freedom. This approachable guide works for both officers and enlisted. Forrest is a Certified Financial Planner™ and is enrolled to practice in front of the Internal Revenue Service. Forrest graduated from the United States Naval Academy and served over 20 years in the US Navy. Forrest has written numerous articles on this website, along with other popular websites, including Nerd Wallet, Christian Science Monitor, USA Today, NASDAQ, & Business Insider. 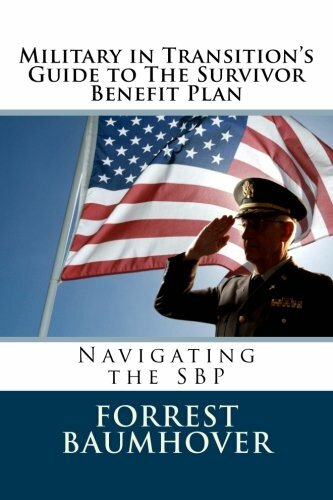 Forrest wrote what we consider to be “the guide” to understanding the military Survivor Benefit Plan. For those looking for an overview of the Survivor Benefit Plan, you can read the article and podcast interview we did with Forrest in this article: Understanding the Military Survivor Benefit Plan. Forrest’s financial planning firm – Westchase Financial Planning. Term Life Insurance Vs. Survivor Benefit Plan (SBP) — A Side By Side Comparison. Buy Forrest’s Book: Military In Transition’s Guide to the Survivor Benefit Plan. Military In Transition's Guide to the Survivor Benefit Plan Price: Do you need the military Survivor Benefit Plan, or should you buy life insurance instead? This book explains your options. Military veterans who transition into the federal Civil Service are eligible to buy military service credits. These credits work to increase their federal civil service time, often allowing them to accrue leave (vacation days) more quickly, as well as potentially enhance their pension when they reach retirement. As you can imagine, there are all sorts of rules and exclusions with this program. Like Doug and Forrest, Eddie is a graduate of the United States Naval Academy. Unlike Doug and Forrest, he decided to leave active duty before earning a full active duty retirement. Eddie later became a civil service employee and turned his experience into a website and a book, which you can find a link to below. Eddie was kind enough to come on our podcast and discuss this topic at great length. You can read more and listen to our podcast on the following article: Buy Back Military Service for Civil Service Retirement Credits with a Military Service Credit Deposit. Find Eddie at his website: GubMints.com. 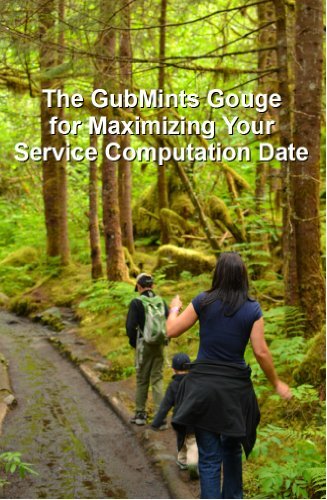 Buy Eddie’s Book: The GubMints Gouge for Maximizing your Service Computation Date. The GubMints Gouge for Maximizing your Service Computation Date Price: Navy Veteran Eddie Wills shows you how to compute your military time to get federal civil service retirement credits, increasing your retirement pension! Just a quick note: The book links you find here will directly link you to the respective Amazon location. Each of the recommended books you buy through one of these links (not just the book, but any other items you choose to buy), Amazon pays a small commission to this website, but your price stays the same. These commissions do help to defray the cost of maintaining this website. I read Soldier of Finance (well at least part of it) and it was a great guide. I’m ex-military and used to work in the Army Finance Corps. SDP and TSP all the way!